Are you sick of wondering if the products that you are taking are making you more sick or are you just sick of being sick? This guide to wellness provides information to "e;Carpe Diem"e; (seize the day) everyday by explaining medical problems, medications, supplements, and the effects each has on the human body. Nourishment choices, menus, and an advanced resistance training program called… , "e;Black Jack"e; 21 to increase lean muscle mass, reduce pain, stabalize metabolism, hormones, and blood sugar levels. How to break a habit gradually for long term success. 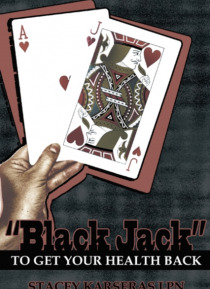 Check out other "e;Black Jack"e; books, such as "e;Black Jack"e; to Lose fat, "e;Black Jack"e; to prevent a surgery setback and more.